Monin Mojito Mint is a refreshing mint and lime flavour that can be used beyond the bar in countless non alcoholic applications. Colour: Transparent.Taste: Spearmint smell, perfectly balanced taste of cane sugar and spearmint.The famous Mojito cocktail was born in the sultry bars of pre-revolutionary Havana. Skilled bartenders called upon the local abundance of wild mint yerbabuena, cane sugar, lime and rum to create a refreshing cocktail sensation that flavoured the sensual Cuban nightlife. Yet the time consuming preparation of mojitos involving making simple syrup and thoroughly muddling lime and mint leaves, as well as its hard to find ingredients did not travel well to the international bar scene. With Monin Mojito Mint, making mojitos is now easy. Just combine with rum, club soda and a squeeze of lime! The Mojito is now a standout favorite among American bars and restaurants patrons. 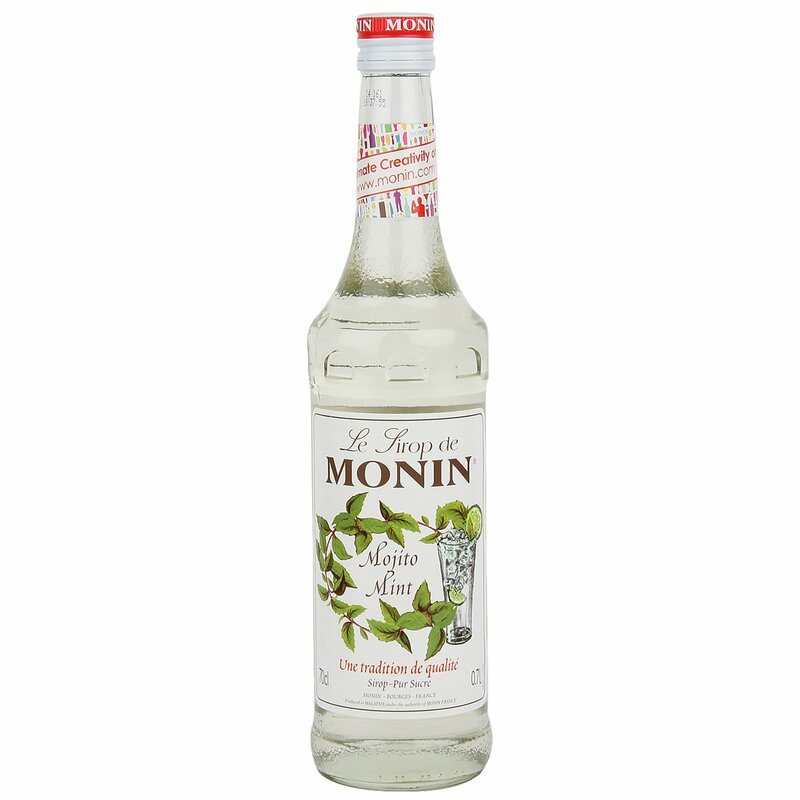 Additionally, Monin Mojito Mint is a refreshing mint and lime flavour that can be used beyond the bar in countless non-alcoholic applications.Best Served: Coffees, Chocolates, Teas, Fruit punches, Smoothies, Sodas, Lemonades.For best results keep refrigerated and use within 4 weeks.